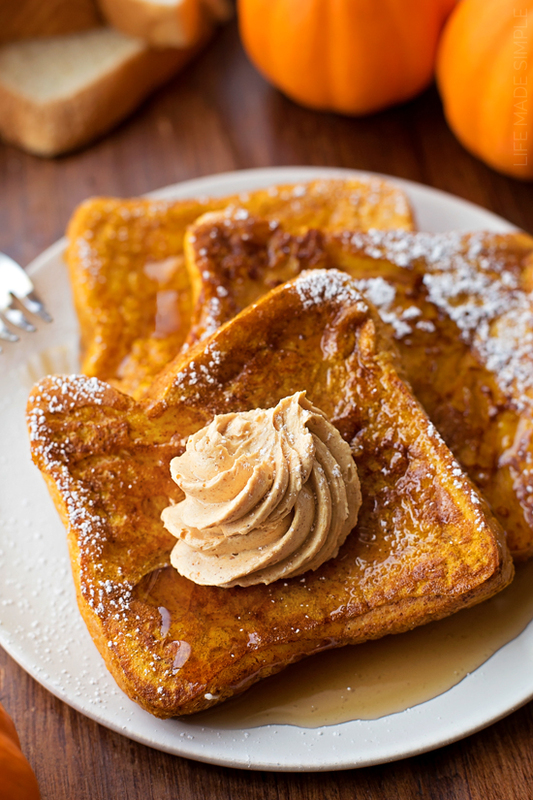 In a rectangular baking dish, whisk together the eggs, milk, pumpkin puree, vanilla, cinnamon and pumpkin pie spice. To make the pumpkin butter, in a small mixing bowl, add the softened butter and beat with a hand mixer for 2 minutes or until light and fluffy. Add the pumpkin puree, maple syrup or honey, vanilla, cinnamon and pumpkin pie spice. Beat for an additional minute or until fluffy. Store in an air-tight container in the refrigerator for up to 5 days.